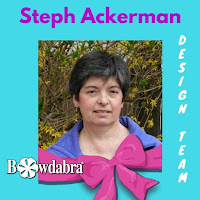 Hi everyone, Steph Ackerman here to show you how to create decorative teacher’s gifts. It’s time to start thinking about teacher gifts. And adding a Bowdabra bow as the finishing touch makes teacher’s gifts more elaborate. Create notebooks adding the teachers’ initials to the front cover. Place each notebook in plastic bags then create the bows. Add ribbon in the channel and create a 2 looped bow. Add a 4″ strip of striped ribbon in the channel. Then create a 2 looped bow from sheer ribbon. 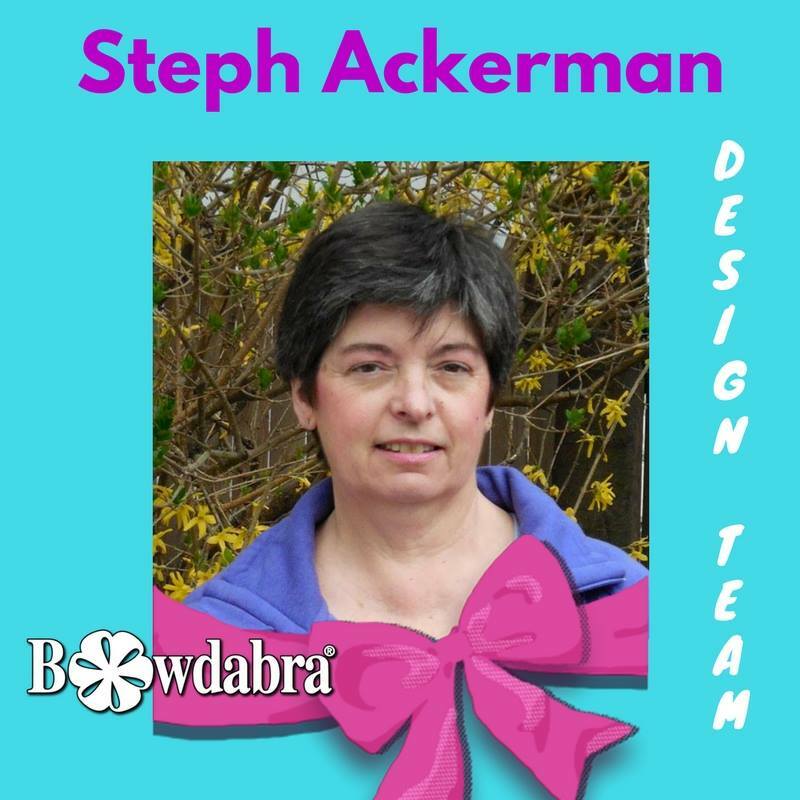 Create another bow using purple ribbon, placing a 6″ strip in the channel. Create a 2 looped bow using purple glittery ribbon. The 3rd bow was for a male teacher so I used scraps of ribbon, placing each strip of ribbon in the channel on an angle. Use the bow wand to push the ribbon into the Bowdabra before tying off. Use the bow wire to tie the ribbons to the bags. Then pull the bow wire to the front, twirling each creating a fun element for each gift.